The matriarch of the Ducharme family, Betty Jane Ducharme, 74, entered into eternal rest on Tuesday, Jan. 15. Betty was the loving wife for over 37 years. of Dennis Ducharme and devoted mother of Machelle Williams, husband Paul and Angela Teater, husband Barry. She was a native of Attilla, Ky born June 7, 1944, to the late Frederick and Freda Underwood Thompson, who had a family of 5 children. 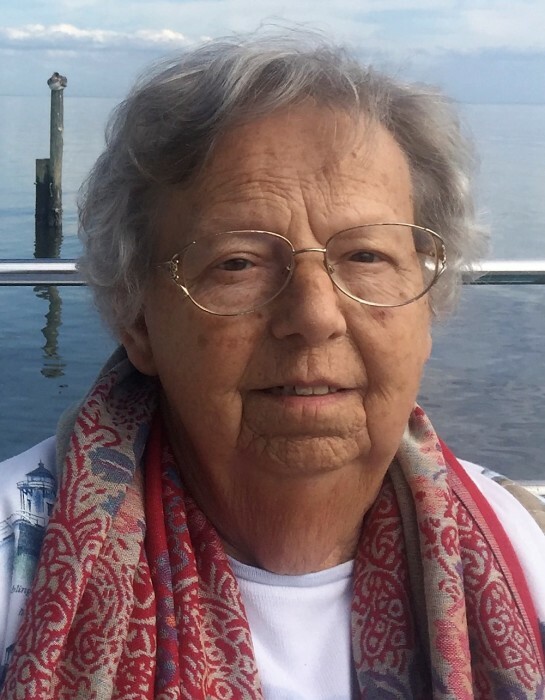 She was a fun loving woman who loved camping, boating, and traveling. Her creative nature created beautiful quilts and many embroidered items for her family. She was an active member of the Beaumont Presbyterian Church where she was a member of the Prayer Shawl Group. She will be fondly remembered by her grandchildren Brittany Kelly, husband Ryan, Gabrielle Helm, Blake Williams, Trey Teater, Jarod Teater, and Jaden Teater, great grandchildren Faith and Jaylah Wilson and Milah Gary. Her sisters Linda Skaggs, Diane Wethington, husband Jack, Marlena Hunt, husband Gary, and Sue Bryant, husband Gregg will treasure their childhood memories. There will also be many memories of the good times with Betty for her numerous nieces, nephews, extended family members and special friends. A Remembrance Service will be held 10:00 AM Saturday, Jan. 19, at Beaumont Presbyterian Church, 1070 Lane Allen Road, Lexington, KY where the family will also greet friends on Friday Jan. 18, beginning at 4:00 PM and ending at 8:00 PM. She will be laid to rest in Hillcrest Memorial Park following the Service. Honoring her as pallbearers will be Barry and Trey Teater, Paul Williams, Steve Auvenshine, Tom Barclay, and Lewis Catron. Donations may be made in her memory to the Beaumont Presbyterian Church or to the Church Prayer Shawl Group. “We grieve because we love, we love because they lived; it is their life that brings us joy”. Hager & Cundiff Funeral Home is honored to care for the Ducharme family.